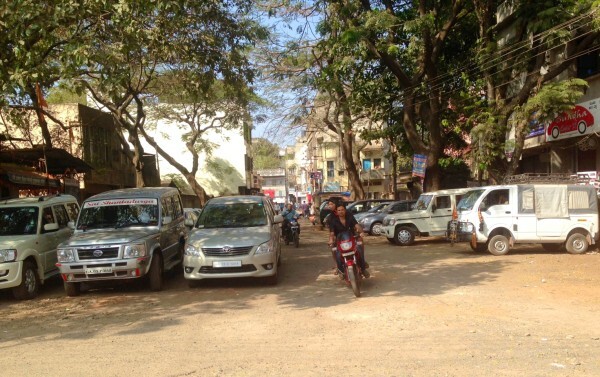 The dream project of building a multi level car parking at the Bapat Galli car parking seems to have met an dead end as the Bell Fluid Mumbai, the company which was awarded the tender has written to the Belagavi city corporation that due to the implementation of GST it will not be feasible to construct the project in the 4.7 crores. The cost of the tender was 4.7 crores for the Hydraulic System Multi Level Car Parking system. The plans for the same are been made since 2007 or may be even earlier. Now the entire process of tendering will have to be commenced which can take anywhere from 3-6 months if all goes well. First for this tender only one company had put in its bid, hence there were delays in giving the letter of approval and after the same was given the company has backed out sighting GST. Further Steel tax has increased from 5 % VAT to 18% GST. This is one product. (Materials) There are other things (materials) also where GST must have increased. I guess The taxes must have increased and the profit must have gone down. Thus the company not interested in doing the work. And they also know there is no other bidder to compete the same. So they are dictating the terms and clearly refused do the same for now. Can some one explain How GST has effected this ? ?